Home Dine Gujarati dish How to use leftover chapatis Recipe roti poha recipe snack vaghareli rotli Vaghareli Rotli Recipe with Step by Step Pictures. Vaghareli Rotli Recipe with Step by Step Pictures. It often happens that we don’t finish what we cook. Heavy pre-meal snack or lack of appetite and many of the other factors result in lots of food in the refrigerator. Vegetables, fish, meat or eggs, things like these can still be eaten a day or two later; but things like chapattis or paranthas, they become very dry and hard to chew after a day or two in the cold box. Here is one simple and delicious way to use your left over chapattis and paranthas. While there are numerous dishes you can make using leftover chapattis, this one is my favorite; because it is super quick to make, doesn’t require quite a lot of ingredients, yet makes a perfectly yummy evening snack…just what a lazy soul like me needs. 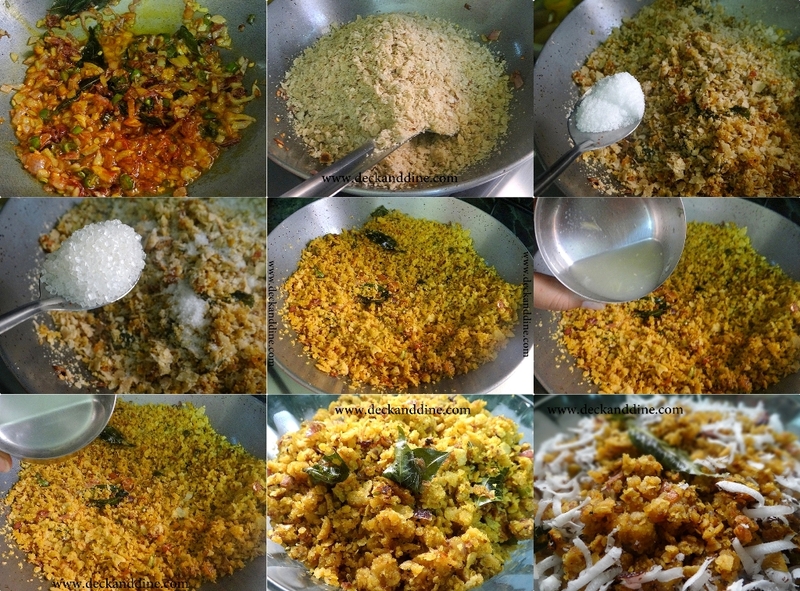 Vaghareli Roti, Roti Poha, Chapatti Chivda, the dish has many names. It is basically a Gujrati snack where ‘vaghareli’ means seasoned or tempered. I learnt the recipe from my aunty who is herself a Gujrati. Leftover rotis, cut into pieces. Mine were really dry and hard, a few days old…so I crumbled them. Turmeric powder, just a pinch. Red chili powder, about 1 tsp. Grated coconut/coriander leaves for garnishing. 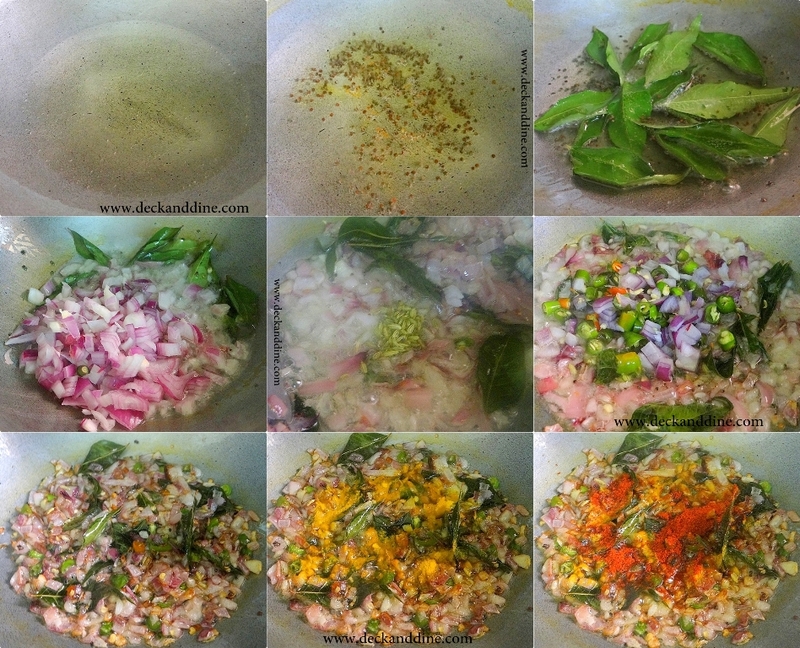 Add the curry leaves when the mustard seeds start splattering and crackling. Now dunk in the chopped onions and add the fennel seeds. I always prefer adding fennel seeds in this stage instead of directly in the oil. When the onions starts to lose its color, add the chopped green chilies. Then add turmeric and red chili powder and stir and fry for another 1-2 minutes. Add the roti crumble/pieces and coat well with the onion and masala. Add salt and sugar. Stir occasionally. Add lemon juice and about half cup of water. The water is just to mix everything together and also to prevent the chapatti from getting too crispy and hard. Cover for 2 minutes and you are done. 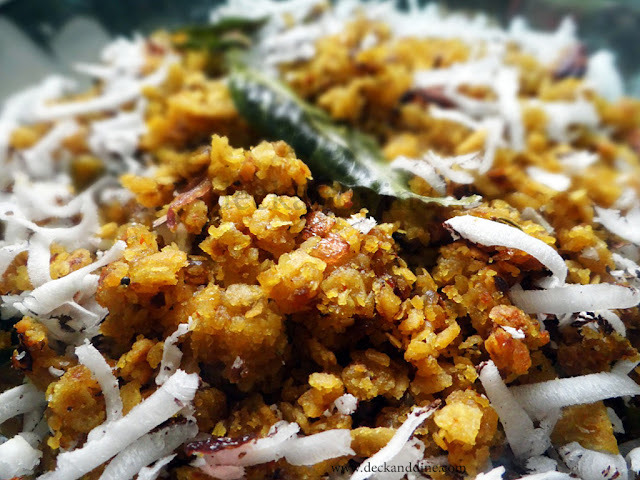 You can garnish with grated coconut or chopped coriander leaves. Isn’t it super easy? Do try and let us know. This looks so tempting and delicious. Thanks for sharing the recipe. It looks so delicious and healthy. Thank you for sharing the recipe.